A bill is on its way to President George W. Bush with an enclosure that encapsulates the atmosphere of a disoriented US Congress. Euphemistically titled “Sense of Congress on Federalism in Iraq” and attached to the 2008 defence authorisation bill that was passed in the House of Representatives yesterday (and is expected to pass easily in the Senate today*), this latest Iraq-related opus to emerge from Capitol Hill is so riddled with inconsistencies that it is the opponents of the idea of US interference in internal Iraqi affairs that emerge as the clear victors in this strange affair. It may be useful to briefly recapitulate the flaws of the precursor to the text which is now being turned into law. Contrary to accounts in the US press, the Senate’s “Biden amendment” of September 2007 did not specifically seek to divide Iraq into any particular number of federal states, nor did it advocate full partition. 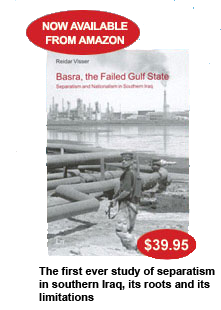 It did however violate the Iraqi constitution in two major ways. 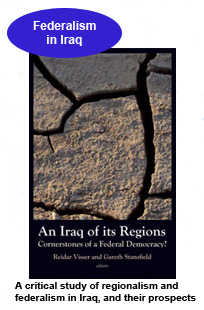 Firstly, by introducing the idea of a “conference settlement” of Iraq’s federal question, it sought to circumvent the democratic procedures for creating federal regions “from below” through grassroots initiatives as outlined in the Iraqi constitution. Secondly, by anticipating an Iraq that would be wholly divided into federal regions it usurped, by implication, the constitutional rights of individual Iraqi governorates to retain their unitary state status if that should be the wish of their populations. In short, the “Biden amendment” ignored Iraq’s status as a unique specimen within the world’s family of federations, namely, an asymmetrical federation where the demarcation of federal entities is gradual and where the right to create new federal entities is vested exclusively in the local populations of the existing governorates. This is a dual system combining federal and unitary-state elements, and it may well end up with one federal region only (Kurdistan, the sole federal entity explicitly mentioned in the 2005 constitution) – although existing governorates, like for instance Basra, or Najaf, can try to opt for a federal status at a future stage if their populations should strongly favour this. To those searching for comparisons, the United States is entirely irrelevant; it is to Spain and Russia (and, arguably, the United Kingdom) one should look for cases with certain parallels to the asymmetric division of power between centre and regions in force in today’s Iraq. The “Biden amendment” of last September also highlighted the logical flaws of the US senators’ approach as they seek to apply the concept of federalism to create an alternative Iraq policy. Their problem is that Iraqi parliamentarians and the Bush administration happen to speak with one voice on this particular issue: they follow the 2005 constitution and the law on implementing federalism of October 2006, which together provide detailed principles, procedures and timelines for creating federal regions in those parts of the country where there is a genuine desire for such federalisation. These procedures are finite and clearly defined: unless one intends to break the law, there is no need for additional “conferences” or “international assistance” of any kind. Accordingly, if US senators wish to produce something that is somehow “more federal” than this, they will have to violate the Iraqi constitution – which is just what they did through their September resolution. The irony is that during this work the senators were actually quite close to the key to an alternative Iraq policy. They even touched on it when they inserted the words “final provisions of” before “the Iraqi constitution” in the conference version of the bill – presumably a reference to the fact that the Iraqi constitution itself is an evolving project, with an ongoing process of revision by committee. Where the senators made their big mistake was in focusing on federalism instead of constitutional revision. This is where there is room for the “grand settlement” (including features related to federalism) which the senators so clearly want. This is also where such “settlement” can be sought without violating the Iraqi constitution, because the process of revision itself is constitutionally mandated. But the direction of change likely to meet with Iraqi approval would again be the opposite of the general thrust in the latest US Congress bill. Instead of asking for more federalism (or a more rapid path towards federalism), many Iraqis seem to favour delays for implementing federalism, stricter criteria for forming federal regions, or guarantees against a federal arrangement where new demarcation lines would correspond to ethnic and sectarian divisions – in short, they maintain the general scepticism towards federalism that has been reflected in successive opinion polls among Shiites and Sunnis alike. But because the committee charged with revising the Iraqi constitution clearly is not responding to these signals from below, this may constitute an area where Iraqi nationalists might actually appreciate some kind of input or support from the international community – perhaps even from the US Congress. 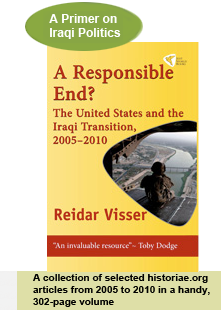 The “Biden amendment” of September 2007 was provocative in its flagrant violation of the Iraqi constitution. Thanks to the efforts of Iraqis who protested the bill, Congress has now been sufficiently shaken to present yet another version, this time with so many additional contradictions that the new text is best characterised as illegible. All in all, it is quite hard to see why the language on federalism was included at all. * Postscript: the bill formally cleared the final hurdle in the Senate on 14 December with an almost unanimous vote. ** This phrasing was probably not intended to question the Iraqi people’s support for their own constitution, but rather relates to their support of the “political settlement” which the US senators allege to be in harmony with the Iraqi constitution – although that is patently not the case. This document may be freely reproduced as long as http://www.historiae.org is credited as the original source.